City workers have been making snow on Chapman Hill for a couple of weeks. There is now enough snow to open part of the hill this weekend to sledders. CJ Fuss, a recreation assistant at Chapman Hill, looks over the results of snowmaking in 2017. 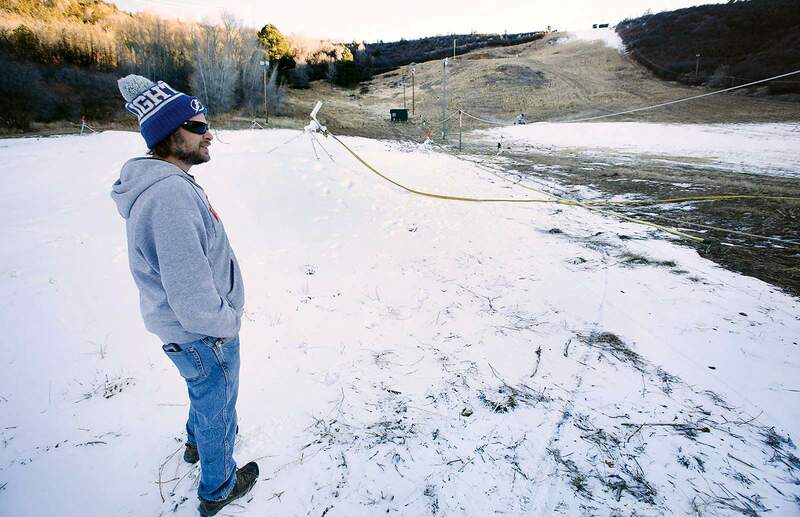 The city plans to have the in-town ski area open before Christmas. Last year, the city used 1.3 million gallons of water to cover the slope. Chapman Hill will open this weekend to anyone who wants to ride a tube down the snow-covered hillside. For the first time, the Durango Parks and Recreation Department will rent tubes to anyone who wants to ride down Chapman Hill from 2 to 4 p.m. Saturday and Sunday, said Cathy Metz, director of the department. The hill will be open from the top of the Little Tow Rope to the building at the bottom of the slope. Renting a tube costs $15 inside the pavillion at the hill. The Parks and Recreation Department started making snow Nov. 25. City workers in past years have pumped about 1 million gallons of water through city-owned snow-making machines, which turn the water into a mist that freezes in the right conditions, Metz said. This year’s conditions have been exceptional, she said. Cold nights and low humidity have made for great snowmaking conditions on the hill. A few early snowstorms have put a thin blanket of snow on the slope. And the hillside faces north, giving it shade from the mid-day sun. “We’ve made some good snow; we’ve had some really good cold temperatures,” Metz said. The rest of Chapman Hill may open a bit sooner than usual, she said. 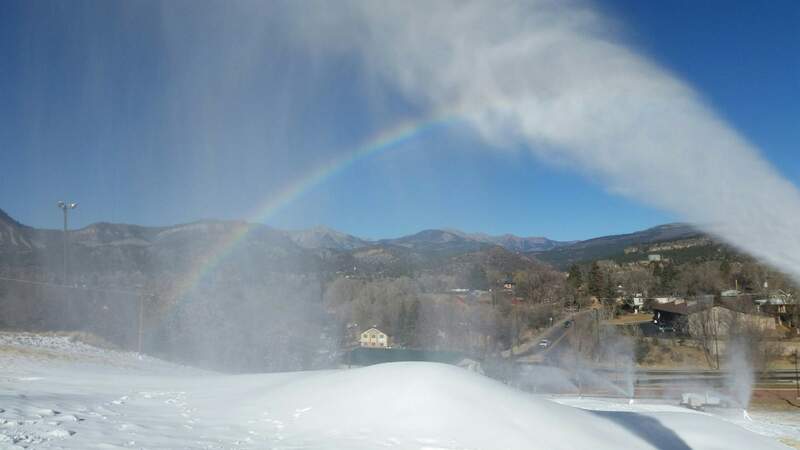 The good conditions have made the prospect of opening the hill before Durango School District 9-R lets out for winter break on Dec. 21 promising. “We actually are considering opening a little early because it’s going really well,” Metz said.